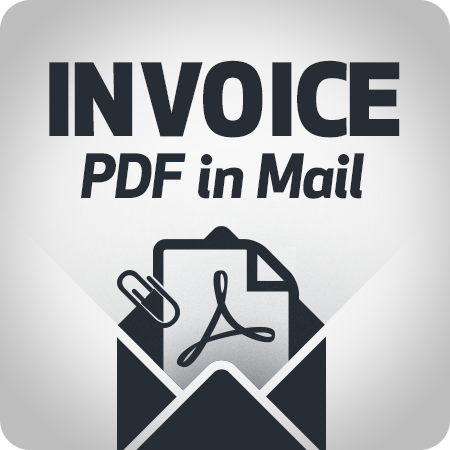 Invoices are sent as PDF attachment to the Magento default invoice e-mail. 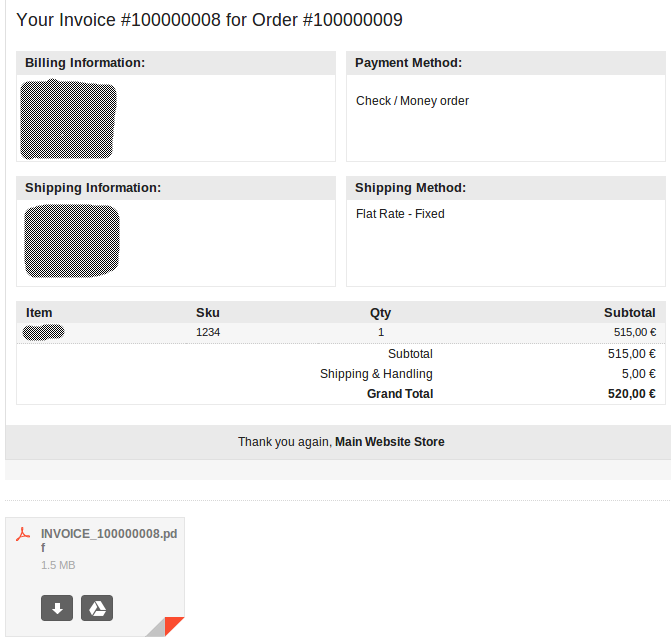 The Invoice PDF in Email extension allows to send the invoice as PDF attachment of the Magento default invoice e-mail. This feature is particularly appreciated by those customers who prefer to store or print invoices as PDF file rather than an e-mail. The PDF invoice is attached to the Magento default invoice notification e-mail; so all customizations developed for this e-mail are retained. In addition, the module does not need any configuration! Every time that an invoice notification e-mail will be sent, the extension will also automatically attach the invoice in PDF format! The generation of the PDF file is made by Magento default PDF invoice generation, so all customizations developed for the generation of PDF invoices are retained.